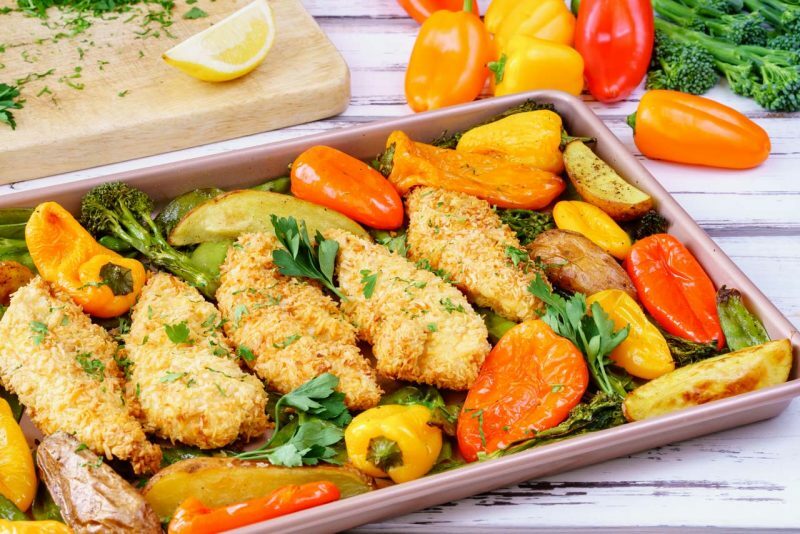 Easy Lunch or Dinner Idea: One Pan Crispy Coconut Chicken & Veggies! 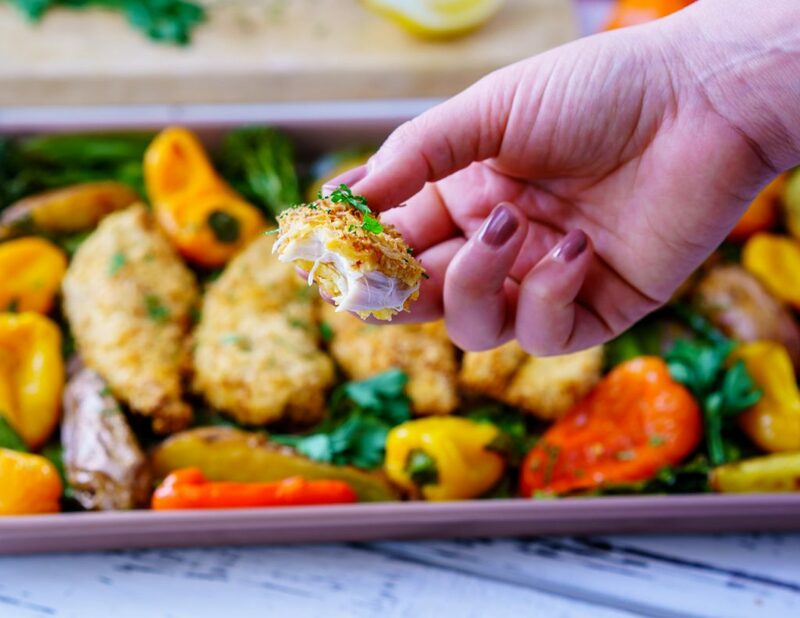 One Pan meals are kinda my thing….this is the perfect quick lunch or dinner for the kids! Place the chicken tenders in a bowl with 2 Tbsps of oil, sea salt and chilli powder. Mix to combine. 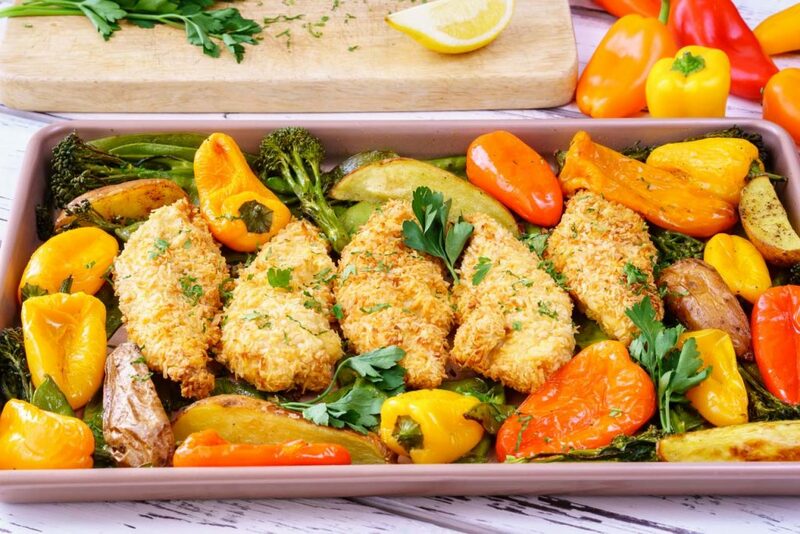 You will need 3 shallow dishes to coat the chicken tenders in. Place the flour into one, whisked eggs with salt and pepper to taste in the second and the third one is for coconut flakes. Start by dipping each strip first in the flour, then egg, making sure to shake off any extra egg and finally crust it with the shredded coconut mixture. Place the strip on a coconut oil greased/or lined with parchment paper, baking sheet. Repeat this till all the strips have been coated. Place all the veggies in a bowl, drizzle with the remaining oil, salt, pepper and garlic and toss well to combine. 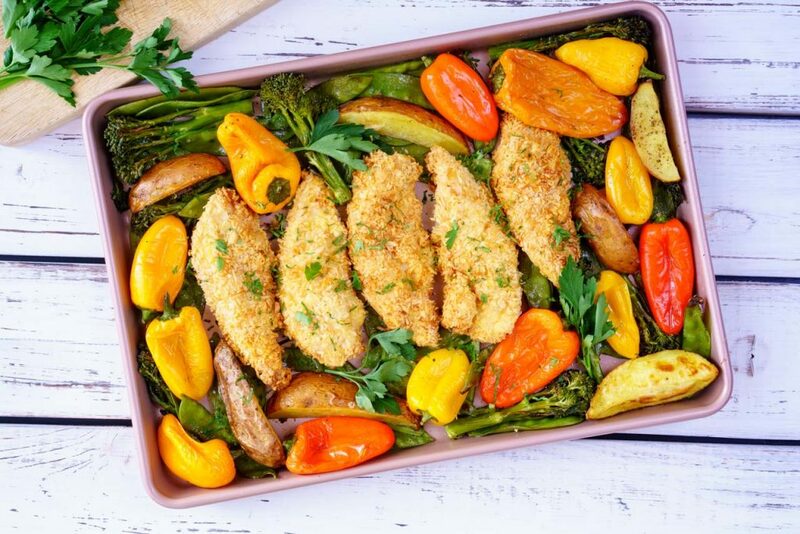 Add veggies evenly to the chicken tray. 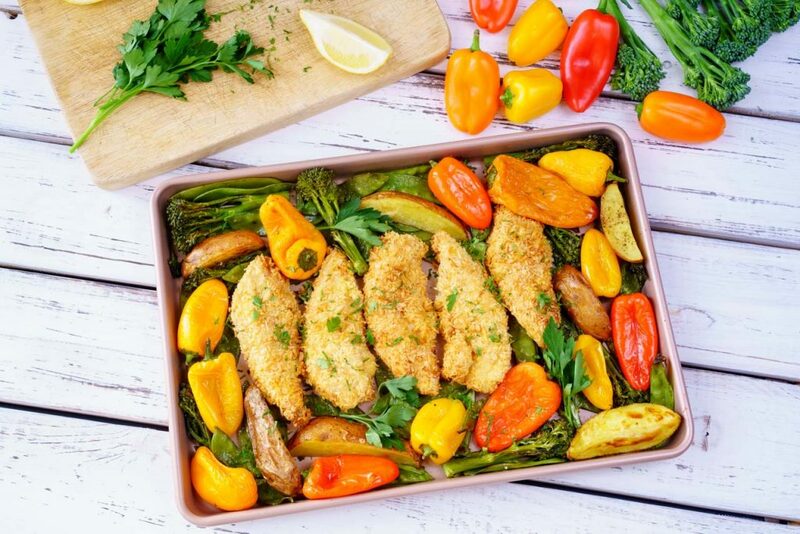 Bake in the preheated oven for about 20-25 minutes until chicken strips are golden and cooked through. Add this recipe to your list this week! 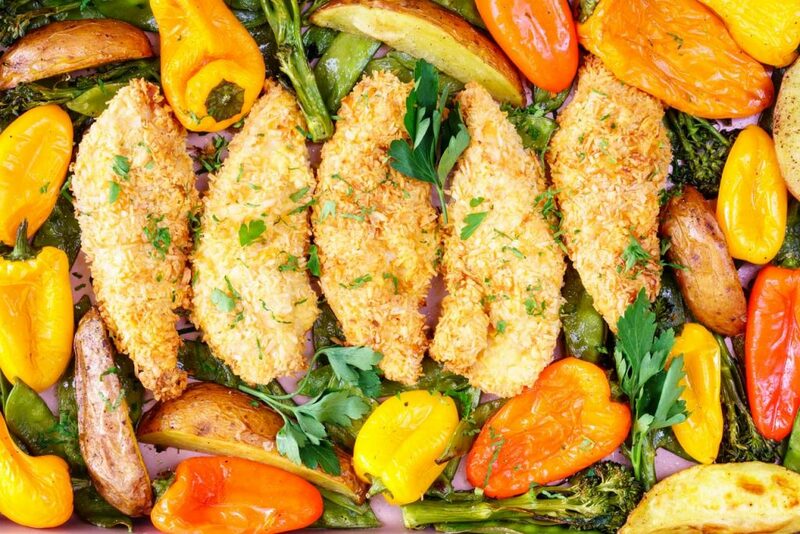 You will need 3 shallow dishes to coat the chicken tenders in. Place the flour into one, whisked eggs with salt and pepper to taste in the second and the third one is for coconut flakes.